The worsed beach,full of rocks, cant swim or eaven go to the watter throu the rocks.In Deluxe room toilet wasn't working,no fix for 5days.Owner and Staff not interested,Lack od hospitality .Bad experience,do not go there. They want a deposit for demages in the room although nothing above standard in the room and equipment vs other hotel without deposit.No earlier info deposit is required on the time of bookin, only at check in on place.Lack of hospitality.Do not recommend!!! Nice place but staff not really helpful !! We really enjoyed our time at the Lanta Family. The staff was incredibly friendly and the facilities clean. We spent a considerable amount of time working from their hammocks, with breaks to swim. We defiitely reccommend these accomodations. It was pleasant to stay here, I tried several expensive accomodation nearby and this was the best one. Big and clean room in bungalow with separeted bathroom with hot water. I needed PC to copy my pics from sd card, they gave me to use laptop from reception. I felt like at home. Really recommend this accomodation. They have BBQ every night. Main road is close, it's necessary to rent motorbike when you at Lanta. Everything is close when you go with motorbike, this location is great to go north or south to explore island. We stayed there for 2 nights. We stayed in a fan room and it was a simple bungalow. Resort is located at the beach. Food was good, some foods are a little bit pricey but some are reasonable price compared to other restaurants in Koh Lanta. In the evening there was a really good sunset view. The beach where the resort is located is quite nice. But you can't really swim there after later during the day because the water level goes down and there are a lot of rocks. During the night there are some parties along the beach. We would definitely visit there again. And we recommend this resort to anyone who want to chill and relax. But in our opinions it might not be suitable area (the beach) to families with young kids. 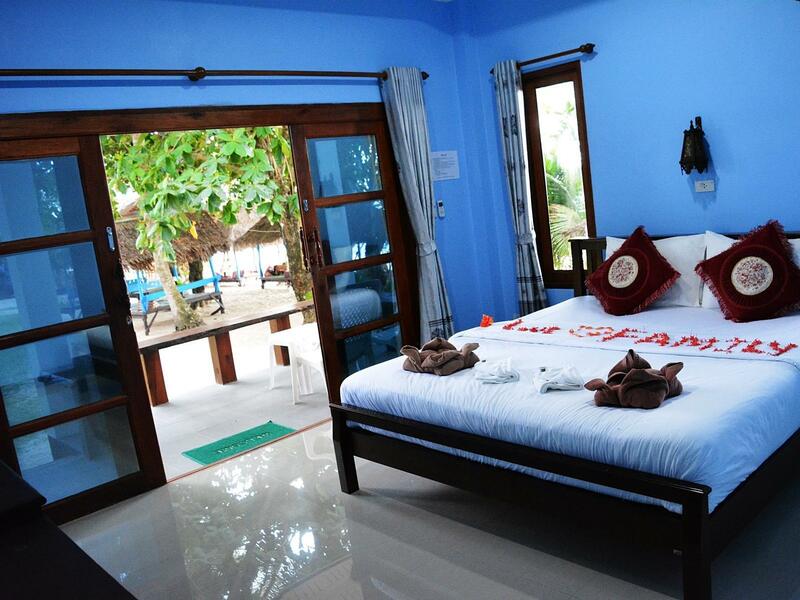 Don’t book the family bungalow (number k6). The shower was broken so we only had freezing cold or boiling hot water. We told the staff several times but they didn’t believe us. On the 4th (!!!!) day they finally checked on it, prooved that it was broken but couldn’t fix it. No excuse or anything. Instead they gave us a bucket and told us to mix water in there to wash our children. Besides that, the bathroom smelled horrible, the whole bungalow was dirty and the owner very unfriendly. The bathroom situation became that worse that we decided to leave one day earlier. The owner wanted us to check out before 11am even though we paid the following night. He became very angry at us when we refuse to do so. Only positive thing was the great location right at Khlong Kong beach. 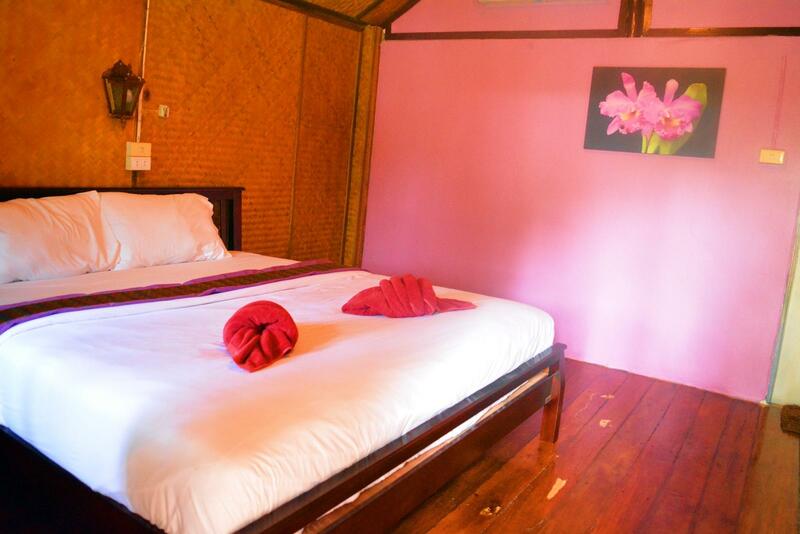 The resort is very nice, the Bungalows perfect for a stay in Koh Lanta and you practically live on the Beach! The Staff helps with booking stuff and everything Else and is nice as well. I would absolutely recommend staying here. We spent a week there. 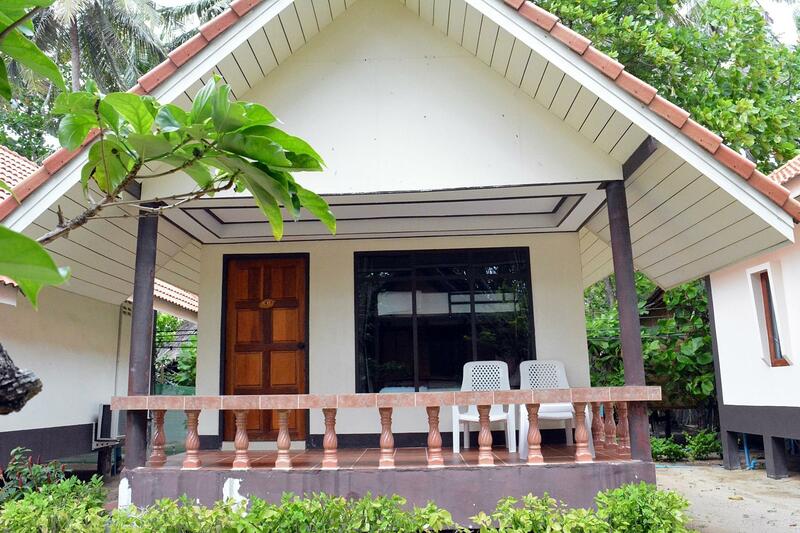 I suggest taking the deluxe bungalow when coming with kids. The beach is filled with restaurants and bars. The 7-eleven is just 3 minutes walk away to get everything you need. You should definitely rent a scooter to drive to south with all the beautiful beaches, mountain roads, restaurants and national park. Our family of 4 (2 parents and daughters aged 11 & 13) stayed at LFR for almost a week. The resort is about 20 Minutes drive from the pier, and right on the beach. The beach is quite lovely at high tide and when the tide goes out you can walk out for hundreds of metres for great beachcombing and tide pool exploration. The staff are super sweet, there is a restaurant and bar onsite (but also many others closeby) and also a spa for beachside massages. Important to note that some rooms don't have hot water, meaning your shower is cold. We got used to this easily enough considering how hot it is outside. I stayed here for 5 nights with my partner in Januari. 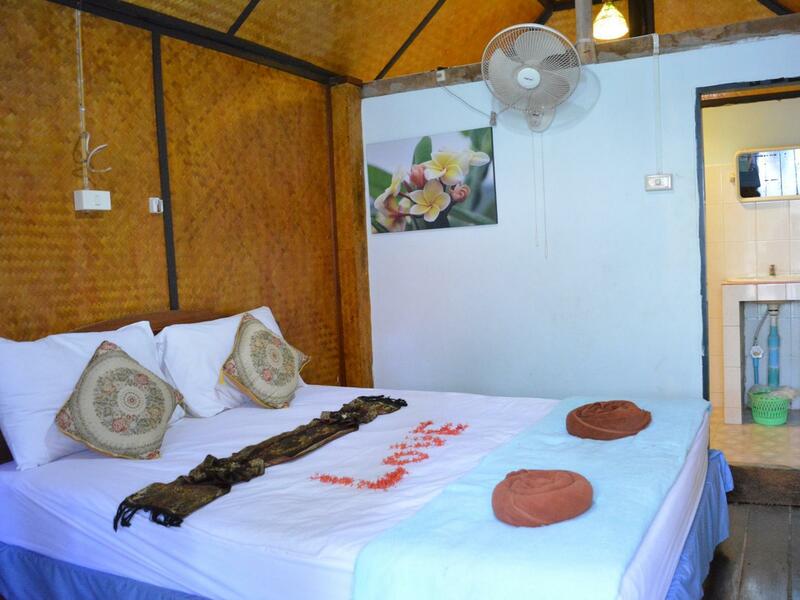 As budget travellers we choose the cheapest bungalow. It was ok, I mean, you get what you pay for and in Koh Lanta this was one of the cheapest places that had access to the beach. So yes, location wise this place is great. But I wouldn't recommend you going here if you plan to spend a lot of time indoors (the room was pretty dark and we found a few cockroaches). But you definitely won't want to stay inside anyway. Khong klong beach is perfect for a day or so, morning swim etc but for a full day on the beach I'd recommend you renting a scooter (200bath/day) and go to some of the other beaches on the island. Pros- beautiful grounds with palm trees to relax under when the sun is hot, very nice open air bungalows to lounge in with pillows, very affordable and right on the beach which was amazing!!! Cons- the room was clean yet my bathroom smelled very strongly of mildew (I was in a budget hut, the other buildings probably wouldn't have that problem) but for the price I endured it, and I wasn't too crazy about the food, but it may be very delicious to other people. Overall a very lovely place! Staff were helpful, but communication was an issue. Got the wrong food served to us twice. They tried to help but the owner was just interested in getting your money, tried charging us nearly double to get to the airport. Had no "clean room" sign so had to find staff on the day to do it who couldn't always be found. Location was good for laying on the beach, not so much swimming. 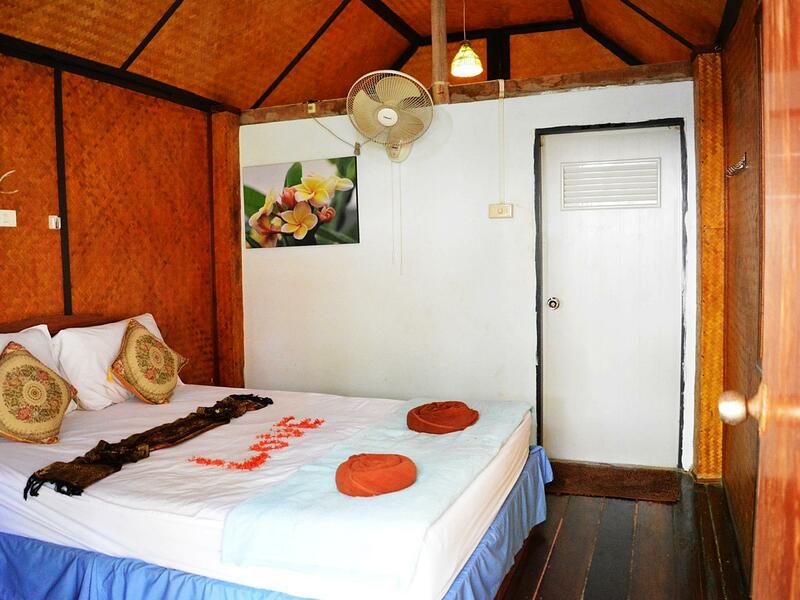 I stayed in brand new bungalows with A/C, nicely equipped, clean and comfortable. Restaurant in the resort serves very good food and located right at the beachfront. Housekeeping and towel change on demand. Staff friendly and helpful.